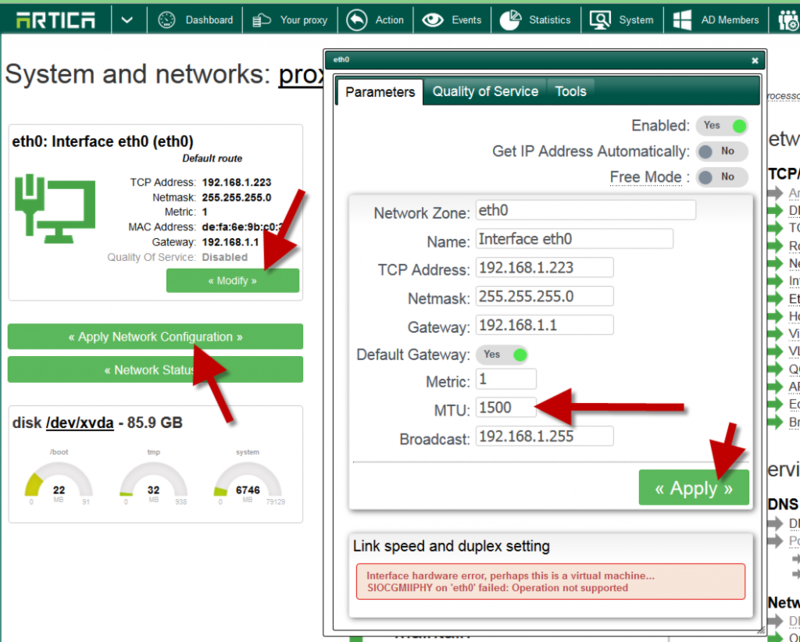 Usually the timed out connection on proxy is correct, issue should be analyzed on your network connection. Verify first your DNS, DNS is an important part of the proxy, DNS server must answer as fast as possible. This is not usually a problem if your client machines are connected via Ethernet or DSL PPPoATM where the MTU of all links between the cache and client is 1500 or more. If your clients are connecting via DSL PPPoE then this is likely to be a problem as PPPoE links often have a reduced MTU (1472 is very common). Or if your proxy is located on a remote site connected to the headquarter trough WAN. Sometimes the router is set with a different MTU. Click on System on the top menu. 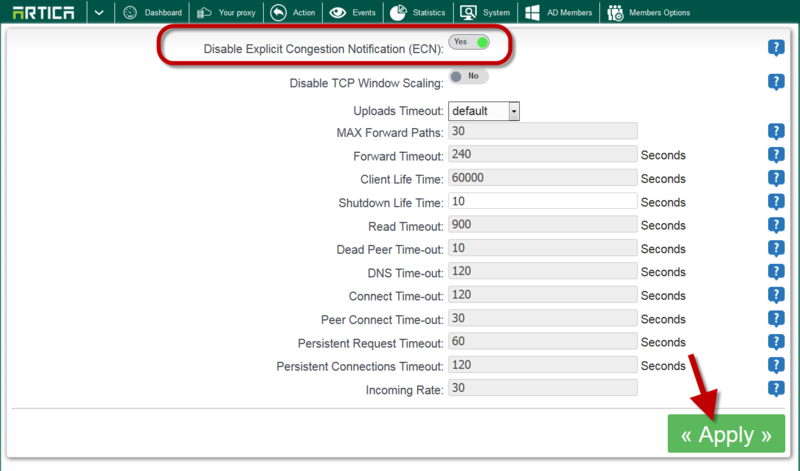 Some versions of linux implement Explicit Congestion Notification (ECN) and this can cause some TCP connections to fail when contacting some sites with broken firewalls or broken TCP/IP implementation. 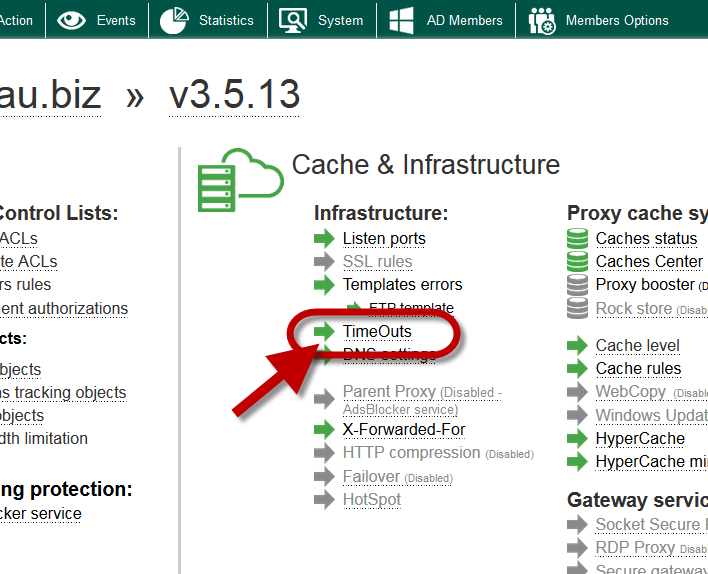 ← Advertising protection: AdsBlocker service a Adblock Plus in proxy mode.